This is a writing prompt. Ten minutes. Report back if you care to. Although in both scenarios, tea and/or chocolate are advisable. Great shot, Carin! I knew there was colour in Winter if you just knew where to look. And, you found it with such style! I notice it’s missing the 3-foot high pole marker like we have up north so the Fire Department can dig them out of the snowbanks. I’ll go with Barbara’s comment! Did my ten minutes and what I came up with was Moira Alberts from ten million years ago, who had orange hair and lived in an orange house about six or seven along from mine and who may or may not have had a hydrant in front of her house (it would have been red in those days) but she did have a telephone pole that served as home free for neighbourhood games of tag, and whatever else required a refuge. The neighbourhood being an Estonian family, two German ones, two Scottish, one Polish, several run of the mill Canadian, and people named Jaeger, which I thought was the most sophisticated thing anyone could ever be called. Moira’s parents didn’t care if we scuffed up the yard making tracks and pits for playing marbles and she had the most beautiful emerald green ball gown for her Barbie and although I’m completely over it… COMPLETELY OVER IT… I do remember that she’d wear that frigging gown to ridiculous things like ‘the movies’… and just ‘sitting around the house’ with Ken and insist she wasn’t showing off. Sure, Babs. 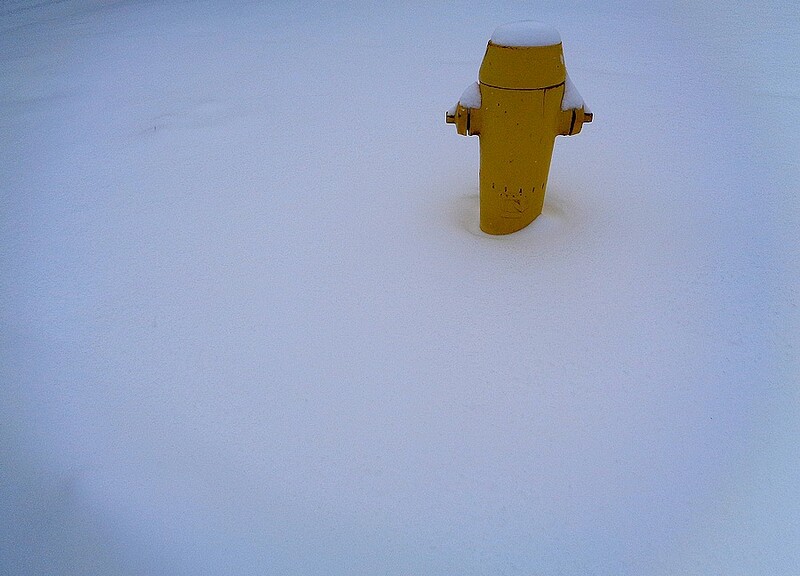 Wondering if Riley made a visit to this hydrant .